The custom of wearing costumes on Halloween originated during an ancient Celtic holiday called Samhain (pronounced Sah-ween). During this day of the dead celebration, some people visited homes dressed up like fairies, ghosts, witches, skeletons and evil creatures, performing various antics in exchange for food and drink. Refreshments were offered as a means of placating the spirits. After Christianity became dominant, Samhain evolved with the arrival of All Saints Day, otherwise known as All Hallows. The Celtic day of the dead tradition survived as All Hallows Eve, when humans and people imitating supernatural beings mingled together. In Medieval times, dressing up in costume on the night before All Saints Day was referred to by revelers as "mumming" or "going-a-souling." Mumming included play acting, singing, chanting and roaming from door to door offering prayers for the dead. In exchange, mummers often received treats such as soul cakes. In some parts of Europe, children engaged in the practice of "soaling" by wearing costumes, singing and begging homeowners for cake, apples and money. In the mid 1800s, Irish immigrants brought their version of Halloween to North America, where it was celebrated with public costume parades and parties. 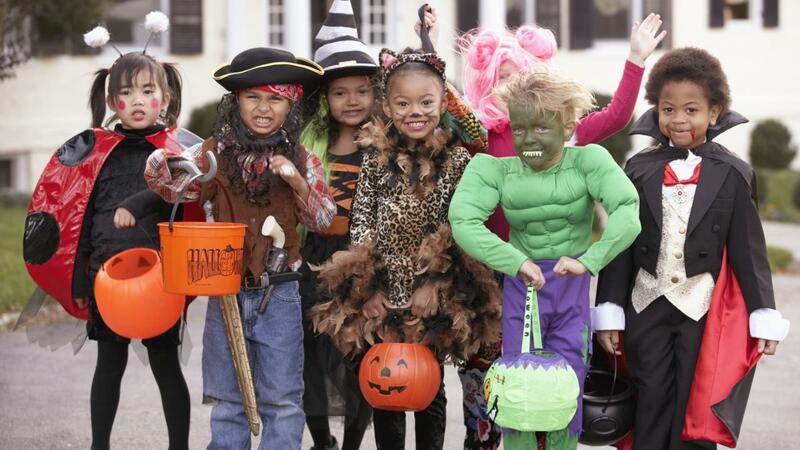 In the 20th century, the mass production of costumes increased the popularity of Halloween for kids and adults.